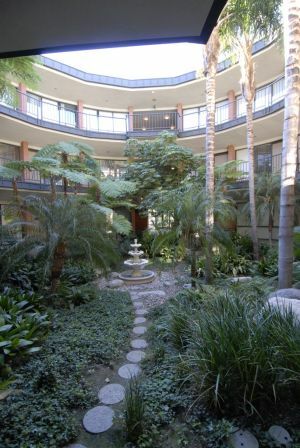 The “Small Session Room” rental space provides practitioners, coaches, and counselors a beautiful atrium view and serene setting in which to see clients. 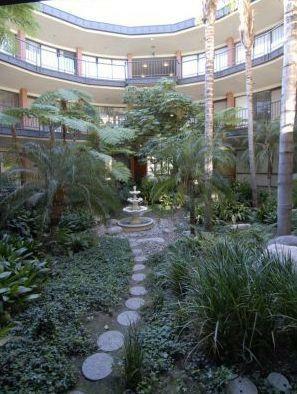 The Impart Wisdom & Wellness Center (IWWC) offers 3 unique marketing programs for our room rental clients. 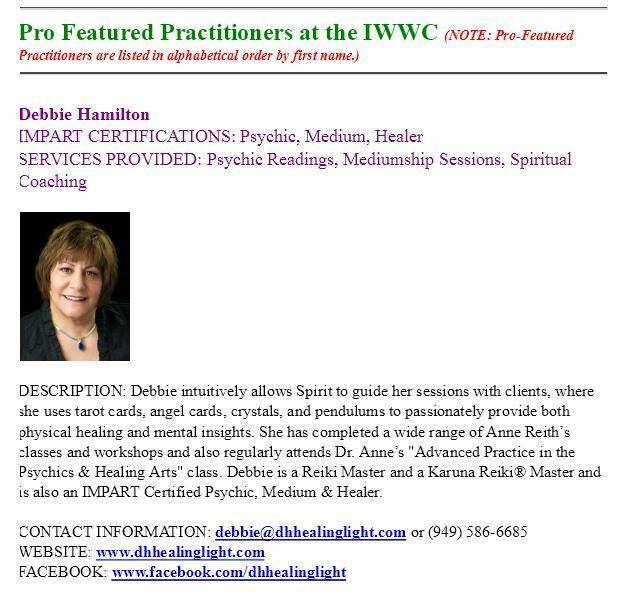 All of the IWWC “Featured Practitioner” marketing programs are designed to keep you and your business consistently visible by reaching over 2000 of Dr. Anne Reith’s personal development and spiritually-oriented subscribers of the IMPART’s Weekly Words of Wisdom email newsletter. Additionally, your business will be in front of hundreds of students who take classes at the IWWC each month by displaying your business cards at our busy center. Our various programs are designed to meet the needs of part-time or full-time professionals, including coaches, therapists, psychics, mediums, hypnotherapists, counselors, etc. Practitioners do not have to be affiliated with Dr. Anne Reith’s classes or the IMPART Certification Programs in order to enroll in this advertising program. However, all new IWWC Featured Practitioner Marketing Program clients must first be approved as an IWWC renter. Click here to submit a Rental Inquiry Form. $80 of credit toward room rental fees. This credit is to be used during the month paid for. 20% OFF the regular room rental rates. For example, the Small Session Room, Medium Session Room, and Healing/Hypnotherapy rooms are normally $25 per hour, but the rental rate is only $20* per hour for Standard Featured Practitioner renters. An 800 character listing under the IWWC Featured Practitioners section of the IMPART Weekly Words of Wisdom email blast. This includes a listing with your name, picture, contact information, links to your website, Facebook and twitter sites, and bio. This email blast goes out every week to over 2000 like-minded subscribers. Click here for example bio listing. Business Card Space at IWWC. You may place your business cards in the business card holder in the Reception Area of the IWWC. 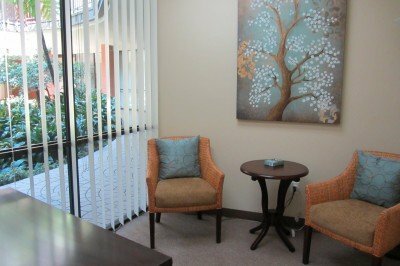 Healing/Hypnotherapy room appropriate for Reiki, hypnotherapy, or other healing modalities requiring deep relaxation. $200 of credit toward room rental fees. This credit is to be used during the month paid for. 20% OFF the regular room rental rates. For example, the Small Session Room, Medium Session Room, and Healing/Hypnotherapy rooms are normally $25 per hour, but the rental rate is only $20* per hour for Pro-Featured Practitioner 200 renters. A PREMIUM LISTING in the IWWC Pro-Featured Practitioners section of the IMPART Weekly Words of Wisdom email blast. The premium listing will be located above the Standard Featured Practitioner section. This includes a listing with your name, picture, contact information, and bio. This email blast goes out every week to over 2000 like-minded subscribers. Click here for example listing. Brochure Space at IWWC. You may place your brochures in the brochure holders located in the Reception Area of the IWWC. $300 of credit toward room rental fees. This credit is to be used during the month paid for. 40% OFF the regular room rental rates. For example, the Small Session Room, Medium Session Room, and Healing/Hypnotherapy rooms are normally $25 per hour, but the rental rate is only $15* per hour for Pro-Featured Practitioner 300 renters. Unlimited hours at 40% OFF, which is only $15 per hour. A unique feature of this program is that after $300 of rental credit is used for the month, the discounted rate of $15 per hour will continue for any additional rental hours. Business Card Space at IWWC. 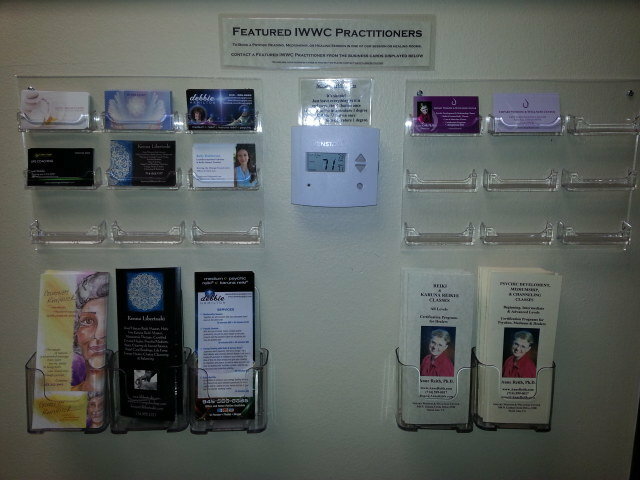 You may place your business cards in the business card holder display located in the Reception Area of the IWWC. This is an example of a Pro-Featured Practitioner listing in our Impart Weekly Words of Wisdom newsletter, which puts you and your business in front of Dr. Anne Reith’s email list of over 2000 personal and spiritual growth oriented subscribers every single week! Our busy center puts our Featured Practitioners business cards and/or brochures* in front of hundreds of personal/spiritual growth students all month long! NOTE: Practitioners do not have to be affiliated with Dr. Anne Reith’s classes or the IMPART Certification Programs in order to enroll in this advertising program. All new renters must submit a rental application. NOTE: The marketing and advertising offered through the IWWC Featured Practitioner Programs are only available to those who see clients “one-on-one,” couples, or families in the Small Session Room, Medium Session Room, or Healing/Hypotherapy Room. NOTE: The Featured Practitioner Programs and any related marketing and advertising are not available for class or event renters.